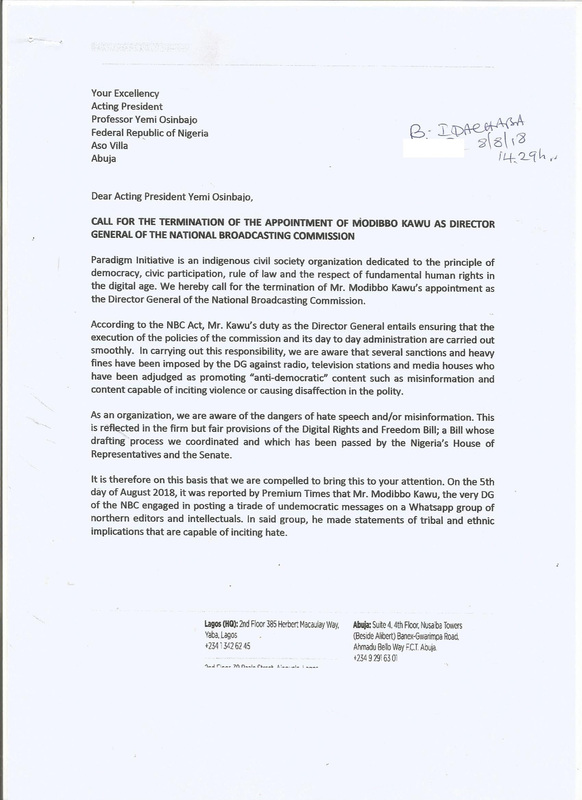 The pan-African digital rights advocacy group, Paradigm Initiative has called on the Acting President of Nigeria, Professor Yemi Osinbajo to terminate the appointment of Modibbo Kawu as Director General of the National Broadcasting Commission, for alleged engagement in spreading hate speech. 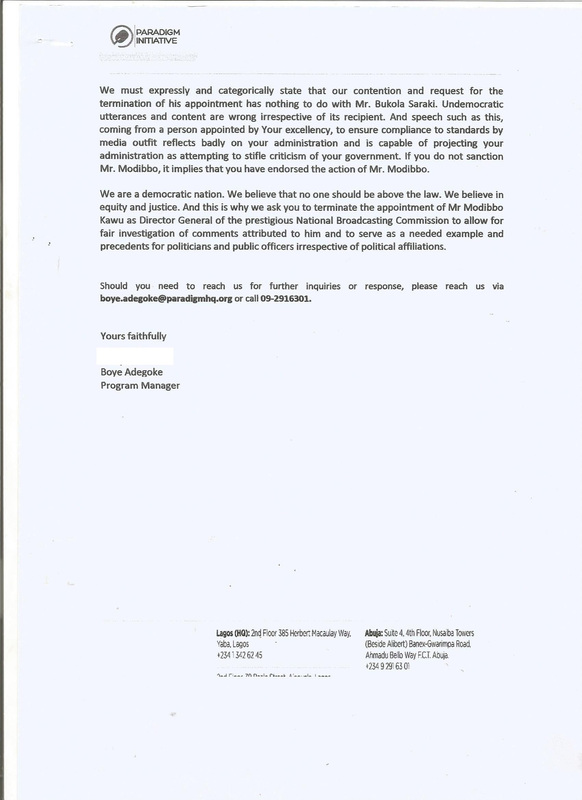 The group made the call in a letter sent to the acting president last Wednesday, August 8. 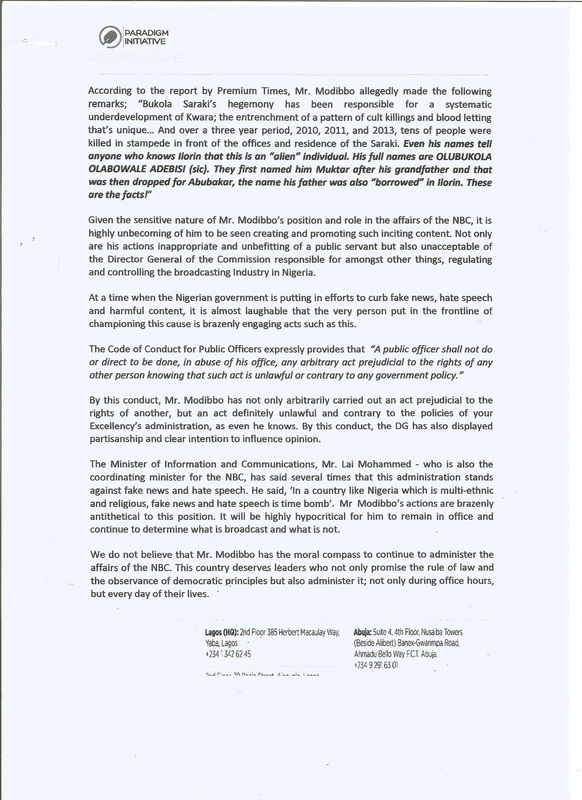 However, a Premium Times report on the 5th of August 2018 revealed that Mr. Kawu engaged in posting a string of undemocratic messages on a Whatsapp group of northern editors and intellectuals. In said group, he made statements of tribal and ethnic implications; capable of inciting hate. “At a time when the Nigerian government is putting in efforts to curb fake news, hate speech and harmful content, it is almost laughable that the very person put in the frontline of championing this cause is reported to be engaging in acts such as this,” Adegoke concluded. Paradigm Initiative ended the letter reminding the acting president that Nigeria is a democratic nation in which no one should be above the law and in which equity and justice prevail.